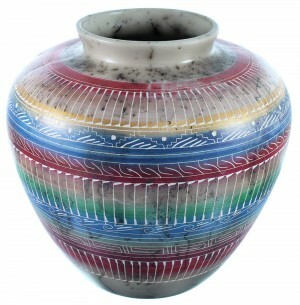 Pot measures approximately 8-3/4" tall, 9" wide and is 29" in circumference (around its widest point). 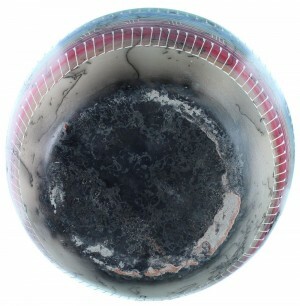 This beautiful style of Navajo art is called horse hair pottery because actual horse hair is added to the pottery at just the right moment in the firing process to melt the hairs into the pottery, creating stunning and unique designs. 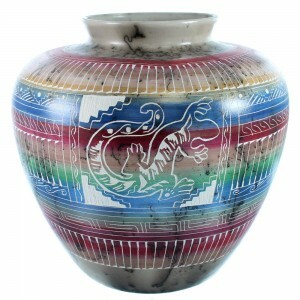 This Native American pot was hand etched and painted with an adorable Lizard design and wonderful traditional patterns.